Canningvale originated as a boutique manufacturer of terry towels, by the year 2000 it had become the largest and most technologically advanced towel mill in Australia. At its peak production capacity, Canningvale was producing up to 57,000 towels per day, 7 days a week. In addition to manufacturing and wholesaling Canningvale products, we also designed and manufactured textile products for Country Road, Sheridan Australia, Sportscraft, Designers Guild, as well as the majority of retail private label towels. 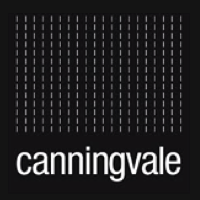 In 2008, the company changed its trading name to Canningvale Australia Ltd.
At Canningvale we strive to make luxury homewares sustainably attainable for everyone at affordable prices. Yo can shop online for our fashionable bath towel ranges, quilt cover sets, bed linen sets, beauty products, soy candles, sheets and much more, all right here at your very fingertips. If you are looking to have a laugh and learn about what makes Canningvale homewares the best Australia for over 40 years.